Scholar Entrepreneur, and New Zealand native David Teece, and his wife Leigh, believe his homeland "produces some of the best products in the world and aficionados everywhere should have a chance to experience them." Mt. 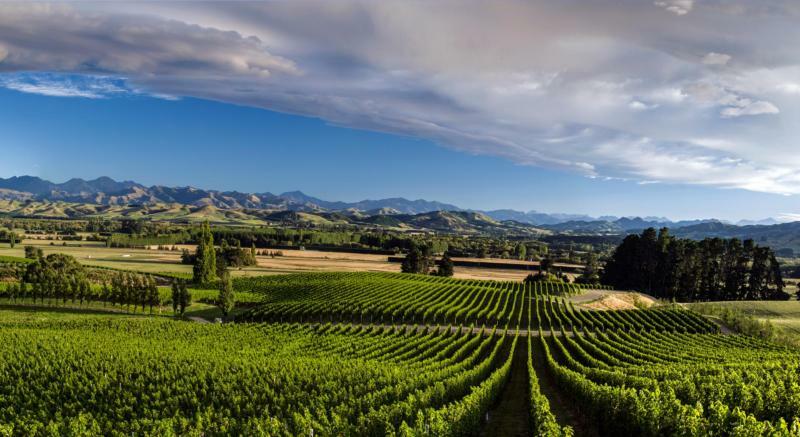 Beautiful Winery from North Canterbury reflects their passion for New Zealand. By producing elegant, certified-sustainable, estate-grown wines, David and Leigh have found a way to truly encapsulate in the bottle, the climate and the richness of the land. Mt Beautiful is uncompromising in quality and faithful to the terroir. Wine & Spirits 90Pale and toasty, this wine’s creamy texture carries the flavor of macadamia nuts and an overtone of peach blossoms. It’s clean, firmed up by a little tannic grip. Serve it with sliced pears and farmer’s cheese. Wine Spectator 90"This ripe and fleshy version shows terrific precision, with honeysuckle overtones to the peach, lemon and melon flavors. Roasted herb and mineral accents linger on the finish. " Wine Advocate 89"The 2009 Riesling has pretty citrus/grapefruit zest and yuzu aromas with hints of green mango and lime juice. Crisp with plenty of citrus flavors and a bit of sweetness, the palate finishes long, fresh and clean. Drinking now, it should keep through 2014."